US Secretary of State Rex Tillerson has defended swingeing budget cuts to his own department proposed by President Donald Trump. Speaking in Japan, he said the level of state department spending in the past had been "simply not sustainable" and he willingly accepted the "challenge". If Congress backs the budget, and that is far from a done deal, the state department and USAID face cuts of 28%. Budget savings would benefit the military primarily. Environmental programmes, medical research and the Amtrak long-distance rail network would all lose out. The Corporation for Public Broadcasting (CPB), the largest source of public broadcasting money in the US, would lose its funding completely. While Mr Trump's Republicans control both houses of Congress, segments of the budget plan are expected to face stiff resistance across the parties. The budget, known as a "skinny budget", will be limited to the $1tn portion of the $4tn annual federal budget that pays for US agencies and departments. How did Tillerson defend the cuts? At a news conference in Tokyo, the US secretary of state said the White House was acting on the expectation that there would be fewer military conflicts involving the US directly "as time goes by" and that its allies would do more themselves to contribute to development aid and disaster assistance. The state department was "coming off a historically high allocation of resources", he was quoted as saying by AFP news agency. "We are going to be able to do a lot with fewer dollars," he said. 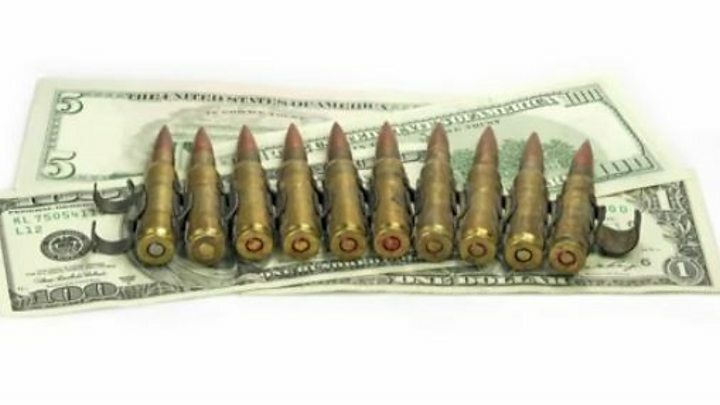 How much would the military gain? Under the budget plans, defence department spending would rise by $54bn (£44bn) or 10%, including $2bn for nuclear weapons, while homeland security would get a 6.8% boost. In addition, the National Nuclear Security Administration, which oversees the maintenance and safety of the nuclear arsenal and its research labs, would gain $1.4bn. Veterans Affairs would get a rise of 5.9%, or $4.4bn, to meet growing healthcare costs. President Trump said in a message accompanying his budget plan: "A budget that puts America first must make the safety of our people its number one priority because without safety, there can be no prosperity." Would there be money for The Wall? Who would be hit hardest? In relative terms, the Environmental Protection Agency (EPA) would lose the most, taking a hit of 31.4% or $2.6bn. However, in dollar terms, health and human services would face the biggest cut of all: $12.6bn or 16.2%. It is not clear what research on diseases or disorders would lose the most money, the Associated Press news agency reports. Agriculture loses 21% of its budget, labour 21% and transport 13%. What will be the impact on the environment? US popular support for action to tackle environmental problems reached a peak after the heavily polluted Cuyahoga river in Cleveland caught fire in 1969. Ongoing problems with air and water prompted Richard Nixon to establish the Environmental Protection Agency a year later in 1970, with broad bipartisan support. Over the past 47 years it has had major successes - acid rain, leaded petrol and the pesticide DDT have become footnotes in history thanks to the agency. While the swingeing cuts proposed by the Trump administration will hit the EPA's climate change research abilities and the implementation of Clean Power Plan, the measures will also have a major impact on regional pollution cleanup efforts in the Great Lakes and Chesapeake Bay. The Superfund program, which manages and attempts to clean up hundreds of sites poisoned with lead, asbestos and dioxins, would see its cash cut by $330m to $760m. While President Trump has many times spoke about his belief in clean air and clean water, the ability of the EPA to deliver these is likely to be significantly hampered by the loss of 3,200 employees proposed in the budget. And if an environmental disaster like Cuyahoga or last year's Flint water crisis strikes in the future, will these proposed cuts be blamed? The state department and USAID (US Agency for International Development) between them pay for everything from the diplomatic corps to fighting poverty, promoting human rights and improving healthcare in foreign countries. A 28% cut would mean the loss of $10bn. The CPB certainly has supplied funds to the Public Broadcasting Service (PBS) but Big Bird and friends migrated from there to commercial network HBO nearly two years ago. Local public television and radio stations across America also receive CPB grants and would stand to suffer if the corporation lost federal support. Will the budget ever be passed anyway? The budget is submitted to Congress as a series of bills - the "annual appropriations bills". In order for each to succeed, it has to get 60 votes in the Senate, where the Republicans have 52 seats to 48 for the Democrats. At least eight Democrats would have to vote for the cuts or at least refuse to obstruct it. Given the level of Democratic animosity towards Mr Trump, those possibilities look slim. Meanwhile, several Republicans have publicly opposed moves to slash funding for diplomacy and foreign aid. Senator Lindsey Graham, chairman of the Senate subcommittee responsible for the budgets, said last month: "It's dead on arrival - it's not going to happen. It would be a disaster... If you take soft power off the table then you're never going to win the war."